The award-winning, late night music and entertainment series, Four to the Floor is returning for a fifth series on Channel 4 accompanied by brand-new digital first programming across social platforms. The series (6x30’) will blur the lines between live performance, documentary and animation to give a fresh look at UK music right now. Four to the Floor gives a voice to the alternative mainstream, bringing new perspectives from emerging, and often ignored, young voices from across the nation on themes such as - systems and power, transcendence, quantum physics and universal truths, alongside an eclectic and diverse soundtrack from emerging acts and well-known artists. This series features the likes of UNKNOWN T, HAK BAKER, JAMIE ISAAC, SAM FENDER, NOVELIST, OCTAVIAN, GEORGIA, RAGZ ORIGINALE, BIIG PIIG, MIRAA MAY, SKINNY PELEMBE and many more. In addition to the new series, Channel 4 are transforming Four to the Four (FTTF) into a truly digital brand, with a full slate of original ideas on YouTube, Instagram and more. Inheriting the unique tone and all the innovative storytelling of the main series, the new digital brand will play with well-known tropes and digital formats to play the YouTube and Instagram game through the very special FTTF lens. Launch titles on YouTube will feature “Grime Gran”, a twist on the interview format with the real surrogate gran of the whole grime scene and “Rave Tales” which will bring animated anecdotes from legends of the UK’s DIY club culture. 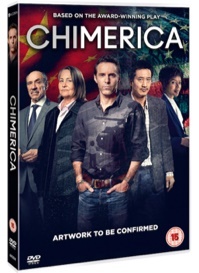 EARNING PLAUDITS galore and described as an ‘electrifying thriller’ by The Guardian, Olivier award-winning playwright Lucy Kirkwood’s stage play Chimerica is set for the small screen treatment, as a powerful and timely four-part series. 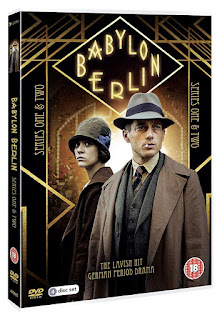 Airing on Channel 4 this Spring, this unique drama is set to arrive on DVD and digital from Acorn Media International. Joining Lee on his frantic search are seasoned reporter Mel Kincaid (Cherry Jones - Transparent, The Handmaid’s Tale), corporate market researcher Tess Kendrick (Sophie Okonedo - Hotel Rwanda, The Hollow Crown) and cynical newspaper boss Frank Sams (F. Murray Abraham - Homeland, The Grand Budapest Hotel). Lee also enlists the help of an old friend, Chinese activist Zhang Lin (Terry Chen - Jessica Jones, Birth of the Dragon), who has troubles of his own. Can he uncover the elusive truth before it is too late? As Bane (guest star Shane West) enacts his final plan for Gotham's destruction, Gordon rallies his former enemies to save the city. Meanwhile, Nyssa al Ghul (guest star Jaime Murray) kidnaps Barbara's newborn daughter, with ambitions to raise her as her own. Then, Bruce's decision to leave Gotham points him to his destiny, while devastating Selina in the all-new “They Did What?” episode of GOTHAM airing Thursday, April 18th on FOX. Ireland will always mean a huge amount to the comedian John Bishop. It was whilst gigging the small clubs and bars there that he decided to quit his job in pharmaceuticals and give stand-up comedy a proper go - a decision that changed his life beyond recognition. It’s a rollicking and hilarious voyage that will not only follow John discovering iconic sights and quirky customs, but will also see him perform his comedy along the way, from a small and cramped gig in a Limerick pub, through to the biggest stage in all of Ireland. In episode one, John goes to watch the All Ireland Gaelic football final. Like an Irish Super Bowl, it’s a match that sees over half the country crowd around the TV in pubs and living rooms for the culmination of a competition involving all of the 32 counties in the north and south. Since winning in 1951, Mayo has lost the final seven times which many put down to a curse – Is this the year they will finally lift the curse? Next, John travels on to Cork, where he goes to the local university for a lecturer on Folk law and fairies and meets a fisherman, who like him, has met the Queen. From the makers of Sky One’s BAFTA winning ‘A League of Their Own’ comes a brand new celebrity panel show, ‘There’s Something About Movies’, launching on Thursday 2 May 2019. The Sky original production, produced by CPL Productions and Motion Content Group, will be anchored by funny man Alan Carr as he invites some of the UK’s favourite actors and comics to test their film trivia and blockbuster knowledge on-screen. ‘There’s Something About Movies’ is a Sky original production produced by BAFTA-winning CPL Productions, a Red Arrow Studios company, and producers of hit US/UK panel show ‘Safeword’, Motion Content Group. The six part series (6 x 60’) will go into production imminently and is due to air 2 May 2019 on Sky One and streaming service NOW TV. Starting over isn't easy, especially for small-town guy John Nolan, who, after a life-altering incident, is pursuing his dream of becoming an LAPD officer. As the force's oldest rookie, he's met with skepticism from some higher-ups who see him as just a walking midlife crisis. If he can't keep up with the young cops and the criminals, he'll be risking lives -- including his own -- but if he can use his life experience, determination and sense of humour to give him an edge, he may just become successful in this new chapter of his life. The Rookie 1x20 "Free Fall" Season 1 Episode 20 Promo (Season Finale) - As the rookies prepare for a big exam to see who moves on to the next stage of training, Officer Nolan and Officer Bishop are called to the scene of a murder and learn that the victim may be tied to a potential terrorist attack on the city of Los Angeles.